Anyone who drinks Peet’s coffee knows that they are uncompromising when it comes to flavor. When Peet’s decided to create Single Cups, they spent five years to perfect each blend, using more coffee than most companies and designed a specific dose for each blend, using a different kind of filter that allows more flavor to pass into the cup. Full disclosure: This is a sponsored post on behalf of Peet’s Coffee for Social Chorus. 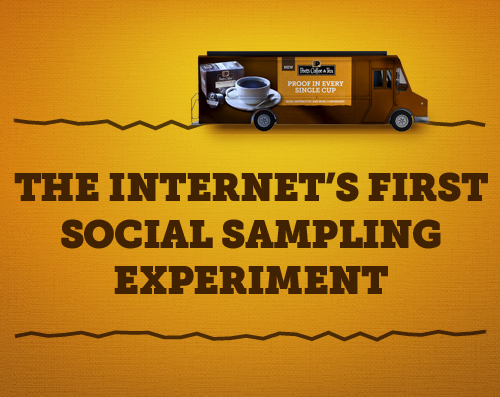 To celebrate this journey, Peet’s has launched Give A Cup, the Internet’s very first social sampling experiment! Here’s how it works. Each week, you can go to doyougiveacup.com and vote on a topic. All of the topics are fun, current and sometimes they’re even a little quirky. All of your votes determine where Peet’s hosts their sampling events each week. Who ever said that a public opinion didn’t count for anything? Each and every vote counts with Peet’s! Give a Cup about kale? Maybe they’ll show up at a farmer’s market! Don’t give a cup about kale? See you at the chocolate store down the street. It’s up to you and America to decide where Peet’s goes so vote, share, and participate in this unique social sampling experiment! Personally, I Give a Cup about family travel. If you follow me on social media, you already know that Chris and I are vacationing with Carnival Cruise Lines with Angeline and two of her best friends right now. Spending quality time together as a family while we explore the world around us – that matters to me. Go to the Give a Cup site and cast your vote! 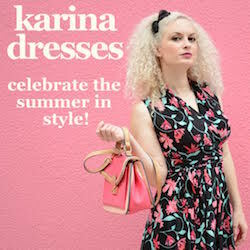 « Don’t Show Up in the Dress That Everyone Else is Wearing! I am with you on the family travel! This is a great program. Sounds like a fun way to select a sampling destination.